Nineteen companies seeking capital presented their cases at the KC Animal Health Investment Forum 2010. 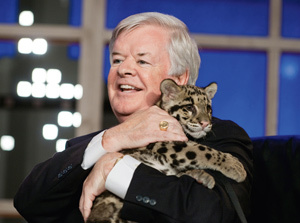 Finton Molloy, former Teva and Boehringer executive, bonds with a clouded leopard during “Late Night” festivities. Nineteen companies seeking capital presented their cases at the second KC Animal Health Investment Forum 2010, held Aug. 31 in Kansas City, Mo. Presented by the KC Animal Health Corridor, the investment forum capped off two days of activities that included a research symposium on biosecurity, a technology transfer event in which reps from Kansas State, Missouri, Iowa State, Oklahoma State and Nebraska universities sought commercialization partners, and the “Late Night in the KC Corridor” gala event, featuring Finton Molloy, former executive with Teva Animal Health and Boehringer Ingelheim Vetmedica, in the role of a late night talk show host. Molloy’s guests included new Corridor chairman George Heidgerken, president and CEO of Boehringer Ingelheim Vetmedica Inc.; Neil Thompson, president and CEO of Hill’s Pet Nutrition, presenting former Hill’s chairman and CEO Bob Wheeler with the Corridor’s Iron Paw Award for career achievements; and Jack Hanna, director emeritus of the Columbus Zoo and Aquarium. Paul Hays, CEO of Synbiotics Corp., served as Molloy’s co-host and sidekick. Heidgerken said he planned to continue the original vision of the corridor and attract more animal health companies to the region and support key initiatives that are larger than any one company. Such initiatives include addressing the issues of antimicrobial resistance, food-borne pathogens and zoonotic disease. More than 725 executives from 130 animal health companies registered for the gala event, while 188 from 57 animal health companies and 27 funds attended the investment forum. In its first year, the investment forum attracted representatives from 50 companies and 11 funds. * Advanced Animal Diagnostics of Durham, N.C., seeking $8 million to commercialize its point-of-care mastitis test, the first in a series of “razor/razor blade” diagnostics for production animals. * Acranatura LLC of Groton, Conn., seeking $1.4 million to complete development of LOHAS (lifestyle of health and sustainability) topical products (sprays, gels, shampoos and creams) and later ectoparasiticide products. * Chemaphor of Ottawa, Ontario, Canada, seeking $2 million to $3 million to commercialize Vet-Stem regenerative stem cells for the Canadian market and Oximunol Chewables beta-carotene-based supplements. * Compan Pharma LLC of Olathe, Kan., seeking $2.5-$3 million to launch an over-the-counter aspirin product in a patented easy-break formulation, plus research on a similar opioid tablet and anti-cancer agent. 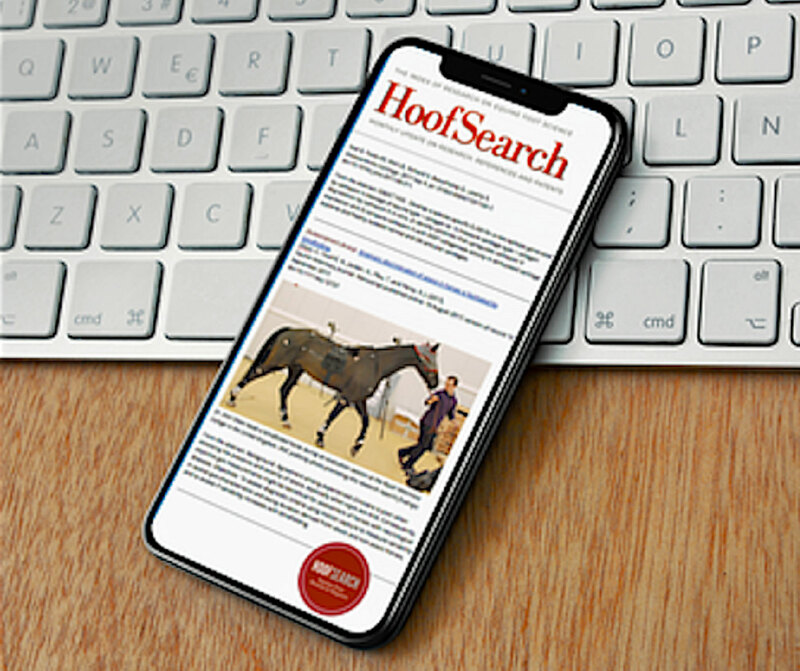 * FreeStride Therapeutics Inc. of Ann Arbor, Mich., seeking $320,000 of seed money to demonstrate efficacy of its PowerGait pharmaceutical for racehorses with bucked shins. * GrowSafe Systems Ltd. of Airdrie, Alberta, Canada, seeking $10 million for manufacturing and installing Radio Frequency Identification automation solutions for monitoring livestock in feedlots. 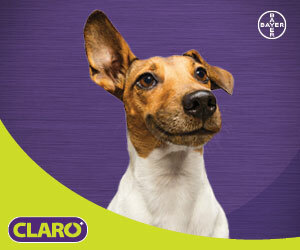 and provide sales and marketing support for its Mast Out mastitis product. * Imulan BioTherapeutics LLC of Prescott, Ariz., seeking $2 million to complete product development of treatments and diagnostics for canine dermatitis, treatments for feline stomatitis, and sales and marketing support for existing products, including LeukoStat anti-inflammatory. * Medi Productions Inc. of Durham, N.C., seeking $500,000 to $800,000 to support launch of its Vet’Kiosk video system in the U.S.
* Midway Food Animal Sciences of Grand Haven, Mich., seeking $3 million to $4 million to initiate a new animal drug application for a polymer-based drug seen as a replacement for antibiotics in food animals for protection against gastrointestinal microbes. * MilkSmart Inc. of Eden Prairie, Minn., seeking $2.6 million to further develop a new milking system that features a teat insertion catheter/expansion tool, teat implant, one-way valve and teat implant dry plug. * Pet Care Specialists LLC of Brentwood, Tenn., seeking $15 million to continue expansion of its Walmart-based grooming salons and development of e-commerce sites, including AnimalMedNetwork.com, which would allow pet stores and other retailers to capture veterinary pharmaceutical sales. 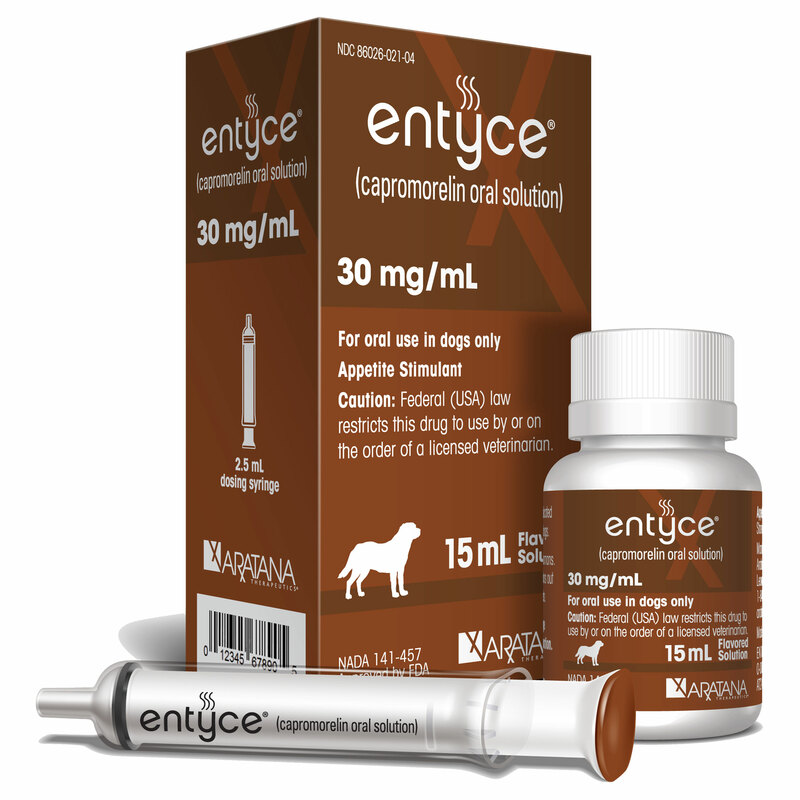 * Piedmont Pharmaceuticals of Greensboro, N.C., seeking $10 million to develop cat and dog drugs for parasites, pain and antimicrobials in a proprietary soft chew formulation. * PreDent LLC of Oklahoma City, seeking $750,000 for USDA licensure costs for a periodontal disease vaccine. 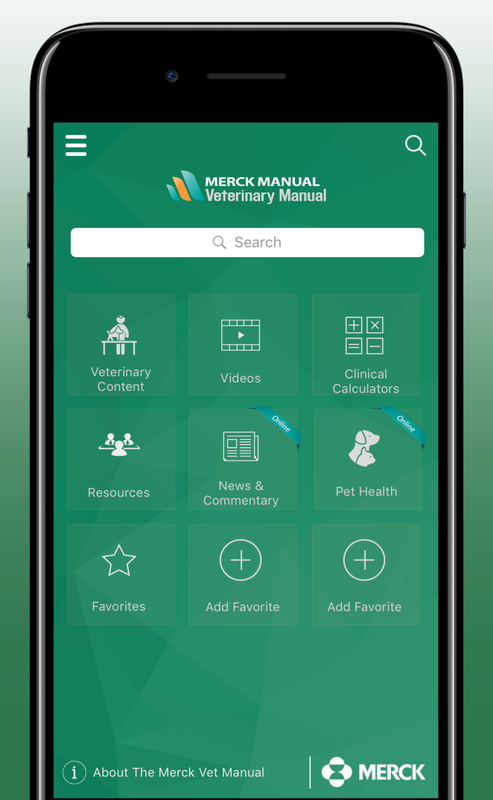 * Quincy Animal Health of Madison, Wis., seeking $3 million to support advertising and marketing for a chewable tablet for canine cognitive dysfunction syndrome and development of a feline product. * Small Animal Imaging of America LLC of Metairie, La., seeking $1 million to $2 million to continue expanding its CT and MRI imaging centers in host hospitals supported by member referring veterinarians. * The Signaling Solution Inc. of Shelburn, Ind., seeking $3.6 million to conduct clinical evaluation of its prototype GardVet bolus and receiver for monitoring of dairy cattle health and efficiency. * Vet-Stem Inc. of Poway, Calif., seeking $2.5 million for marketing and sales support of its line of fat-derived stem cells. * VitalTrax LLC of Charlotte, N.C., seeking $2 million to finalize product development of its SmartTrax pet location monitoring system. Read the full article in the November issue of Veterinary Practice News. To read the article, readers must be a subscriber. To subscribe, click here.